Nationally Recognized as a Provider of “Driver Helpful” DOT Physical Exams! Get low pricing for your next DOT Physical Exam at our truck driver helpful and convenient clinic located in Pleasant Grove, Utah. We like people (especially truck drivers) & have a friendly atmosphere. We have been at our location for 32 years & are well known & established in the community. Our office is bilingual (English/Spanish). Need your DOT Physical Exam Today? We know your time is valuable so we make sure you won’t have to wait long for your appointment. Our goal is to get you in & out of our clinic with their medical card as fast as possible. We save you time & the headache of going to the State DLD office by registering your completed exam with the Drivers License Division. You don’t even have to go there & wait in line! If you have medical concerns, we can also provide information on how you can manage and improve your health so they can stay on the road & maintain your driving livelihood. With his extensive knowledge of the DOT Physical exam medical guidelines, let Dr. Rosquist steer you through the DOT physical exam requirements so you can Keep on Truckin’. Looking for a DOT Physical Exam, CDL Physical Exam, or a School Bus Physical in Pleasant Grove, UT? You’ve come to the right place! 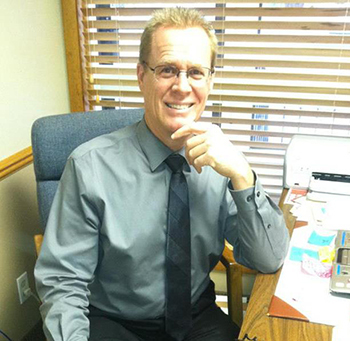 Dr. Rosquist has been a practicing physician in the state of Utah since 1982. He has treated and examined thousands patients during this time and knows how to communicate and help people. He did his under graduate schooling at the University of Utah. He then attended Texas Chiropractic College where he graduated with honors for high scholastic achievement. His additional training includes a certification in Acupuncture and is a National Registry Certified Medical Examiner. He has a love for holistic medicine and his clinic incorporates a well rounded approach to helping his patients. His clinic provides the following services for his patients: Chiropractic, Acupuncture, Physical Therapy, Exercise Rehabilitation, Blood Tests, Homeopathic Medicine, Nutrition, X-Rays, Spinal Decompression, Class IV Laser Treatment, MRI Scans, CT Scans, Diagnostic Ultrasound & Bone Density Testing.